You’re considering building a custom home. You’re green conscious. You have a deep respect for the environment. For you, sustainable living is not a choice, but a matter of fact. You desire a professional, trusting, relationship with knowledgeable craftsmen. But how do you base your decision when so many builders and general contractors today claim to build green? The answer is in the details, but beware of greenwashing. What is Greenwashing, or Green Marketing? A good marketing strategy should strengthen the values of a builder, not deceive potential customers by claiming to be something they’re not. This unfortunate tactic is all too common these days painting builders as being green, while in reality such builders have no official environmental certifications or education, and are using the term green loosely as an attention gathering buzzword to meet consumer demand. Greenwashing is not always easy to detect, some subtle examples of greenwashing could be a housing development using names of the very natural elements they’ve destroyed to build, or the use of products claiming to be “LEED certified” or “LEED qualified” when no such such product qualification exists. 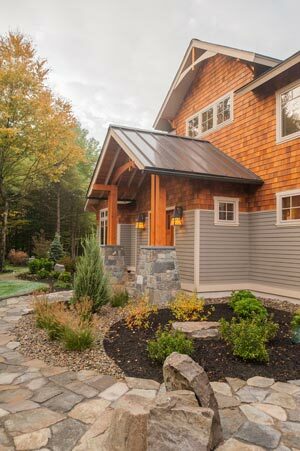 The only way to be sure you’re working with a true green builder is to do your homework, check references, certifications, and discuss with your builder their philosophy and passions – their true (green) colors will show through. At Capital Construction we’re proud of being green. Our homes at Louden Ridge are the first of their kind in Saratoga Springs, NY offering homeowners beautifully custom built homes blended seamlessly with their environment. With over 40 years experience in the building industry, we make it our business to continually educate ourselves, and our clients on what it means to properly build green. We’re certified by the National Association of Home Builders (NAHB) as Green Professionals. The certification is the only ANSI-approved rating system for green homes with standards that include energy, water and resource efficiency, indoor air quality, site development, and homeowner education. From the most basic, to the most critical, we consider how every decision will affect the longevity and sustainability of a home. We take great pride in our work, and we build each custom home as if were our own. We understand the importance of good design with the added value of functionality. Our homes are attractive. They have curb appeal. But at the same time they meet function efficiently. We strive for the perfect balance between practical issues and good design to create homes that will satisfy both aesthetically and economically over time. Time and again we’ve proven our expertise. Capital Construction was the first builder in upstate NY to build a home certified as a “Healthy House” by the American Lung Association. The Healthy House program offers a set of rigorous standards to reduce exposure to indoor air pollution such as smoke, dust, mold, volatile organic compounds and other pollutants. 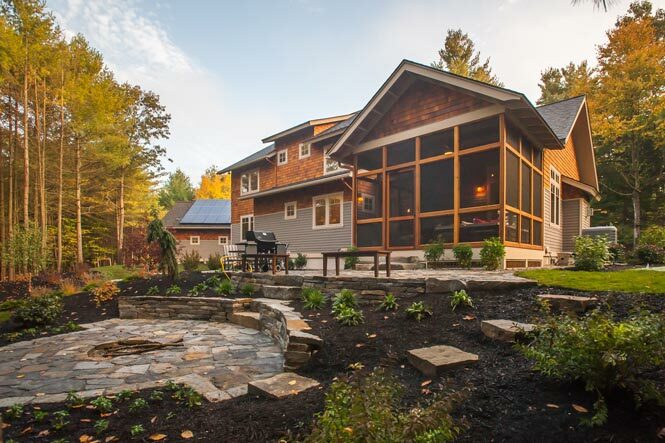 Close attention to detail with these homes include window placement, geometric planning, radiant systems, the use of natural and recycled materials, air filtration systems, a sealed combustion fireplace, high-velocity air conditioning, and more. A Capital Construction home is a true green house. We’re skilled craftsman and experts in our field with a genuine passion for our work. We welcome the opportunity to discuss how going green can benefit you and your family, and encourage you to take a look at the examples in our portfolio to help you gather ideas & inspiration. When you’re ready, please get in touch using our web site contact form or call us at 518-884-4555, we look forward to speaking with you.